Nuremberg, Germany, PCIM Europe (Power Conversion and Intelligent Motion), June 5, 2018 – GaN Systems, the global leader in GaN power semiconductors, today unveiled two wireless power amplifiers that will revolutionize the wireless charging market for high-power consumer, industrial, and transport applications. 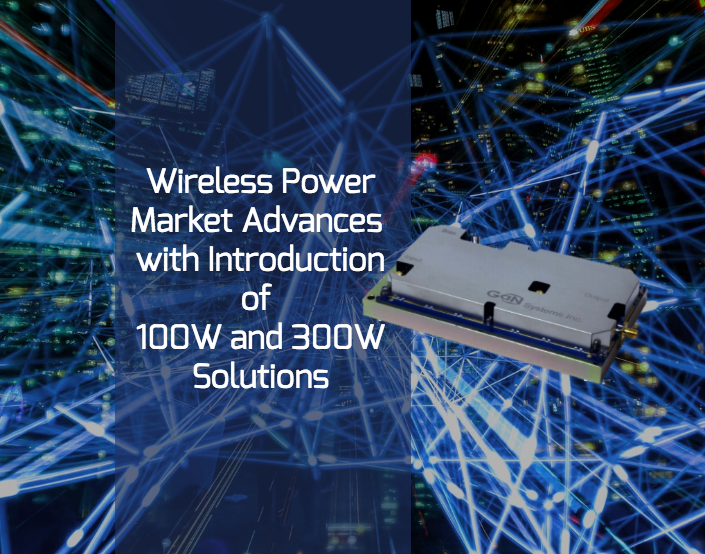 These new solutions include the 100 W power amplifier with ranges from 70 W to 100 W and the 300 W power amplifier with ranges from 150 W to 1 kW. GaN Systems is displaying both solutions and demonstrating the 300 W amplifier at PCIM in Nuremberg, Germany on June 5-7, 2018 in Booth 511 in Hall 9 (9-511). As wireless charging goes mainstream, GaN (gallium nitride) is removing the limitations by making way of new higher power system designs that provide the spatial freedom and faster charge times. The 100 W power amplifier [GSWP100W-EVBPA] is ideal for applications in the consumer market for items such as laptop computers, recreation drones, domestic aide robots, power tools, and fast-charging of multiple smart phones. 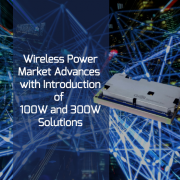 The 300 W power amplifier [GSWP300W-EVBPA] is targeted for the industrial and transportation markets for applications that include delivery drones, warehousing robots, medical units, factory automation, contractor power tools, eBikes, and scooters. Both power amplifiers have a range of features including current or voltage control, built-in protection circuitry, EMI filtering, and configurable output power. The amplifiers combine GaN systems power transistors with high frequency GaN E-HEMT drivers from pSemi. Additional media coverage of this announcement: Semiconductor Today and EE World.